The perfect size tool for model railroading, ship modeling, dollhouse miniatures and whenever a full size hammer just won't fit. 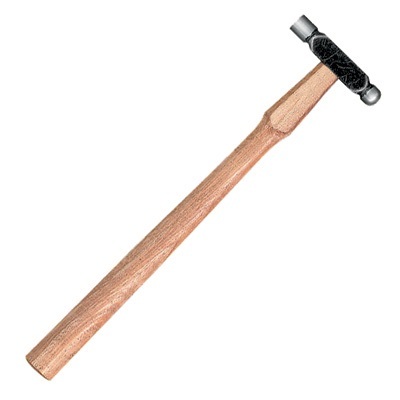 Use this miniature ball peen hammer for shaping metal or riveting. Excellent for use with one of our anvils. 2 oz. head.